along with lambretta the piaggio built vespa transported an entire generation of italians in the post war period...the hitherto humble scooter went on to become part of popular british youth culture and was a favourite transport of the fashion concious mods.......countless models and incarnations have been built over the years yet this beautiful early version really does encapsulate the italian style and charm of that bygone era from almost 60 years ago. 175cc. 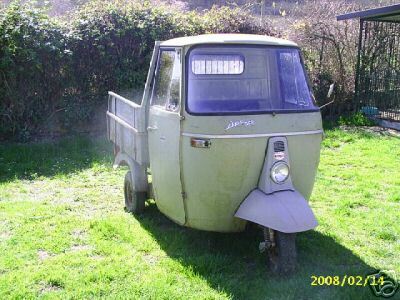 the piaggio ape (pronounced ""ah-peh"" - italian for bee, vespa meaning ""wasp"") is a three-wheeled light commercial vehicle built by piaggio. the ape was first built in 1948. the vehicles comes in various configurations such as van, pickup and autorickshaw (tuk-tuk). the ape is produced in india by piaggio india, and a similar vehicle is manufactured by bajaj auto. the ape is a common sight in italy where its compact size allows it to navigate narrow city streets and park virtually anywhere. it's also often seen at the roadside where the load area is used as an impromptu market stall by farmers. 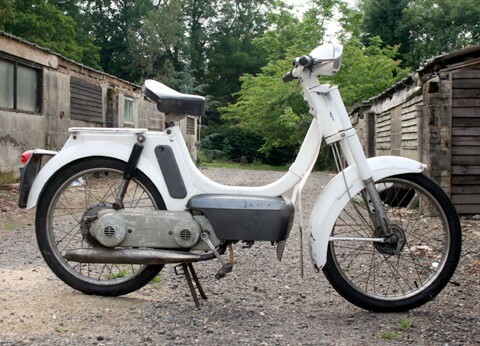 the first apes were essentially 125cc or 150cc and more recently 175cc vespa scooters fitted with twin rear wheels and a load platform above them. later models added a cab around the driver. performance is suited to the job, with good torque for hills, but a low top speed (irrelevant in cities), and apes are customarily driven as close as possible to the curb to allow traffic to pass. 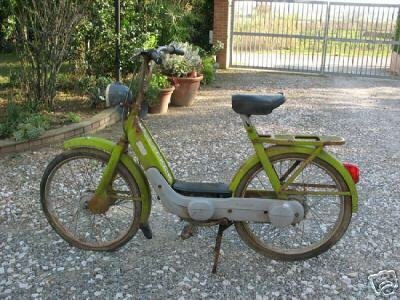 MotoVespa were looking for a scooter that they could sell at a cheap price and, in 1967, registered a Spanish patent for a CVT engine (Continuously Variable Transmission). 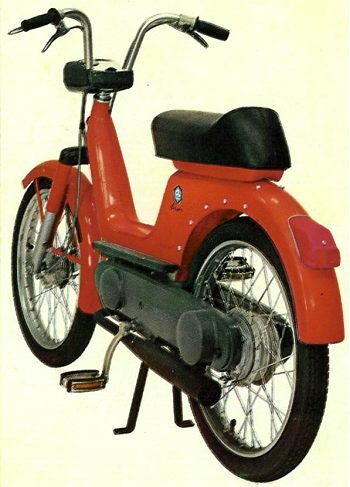 The Vespino made its debut in 1968. British models were imported from the Vespa factory in Spain and assembled in Bristol. MotoVespa were looking for a scooter that they could sell at a cheap price and, in 1967, registered a Spanish patent for a CVT engine (Continuously Variable Transmission). 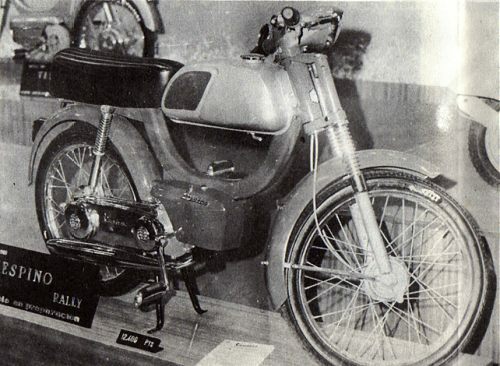 The Vespino made its debut in 1968. 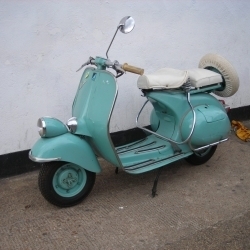 British models were imported from the Vespa factory in Spain and assembled in Bristol. Image provided by www.buyvintage.co.uk.